Uma worked with local charity to buy eye care equipment for the hospital, See the new cutting from local news paper. 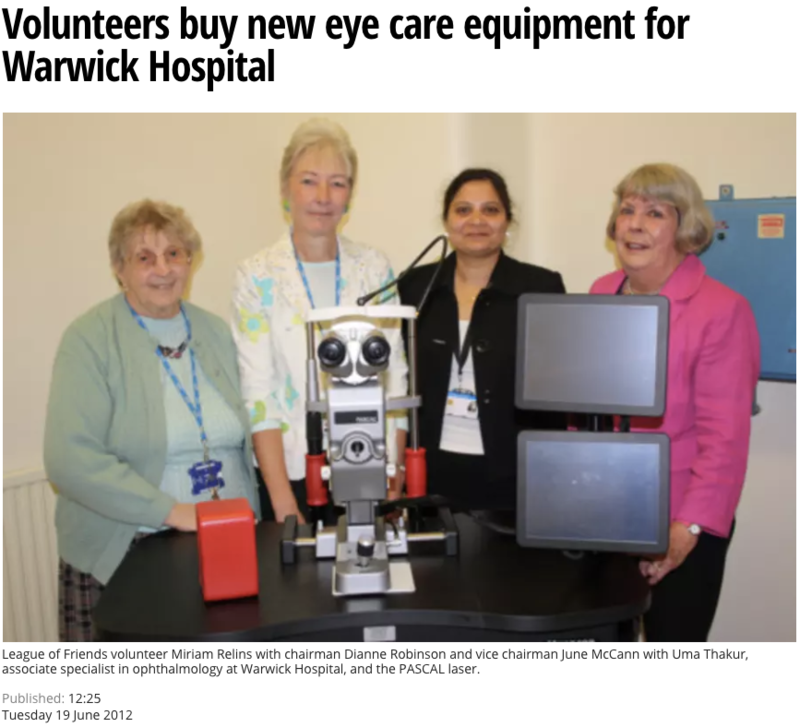 “League of Friends” volunteer Miriam Relins with chairman Dianne Robinson and vice chairman June McCann with Uma Thakur, associate specialist in ophthalmology at Warwick Hospital, and the PASCAL laser. To make a private appointment call 01722 435163 or visit the Appointments page. 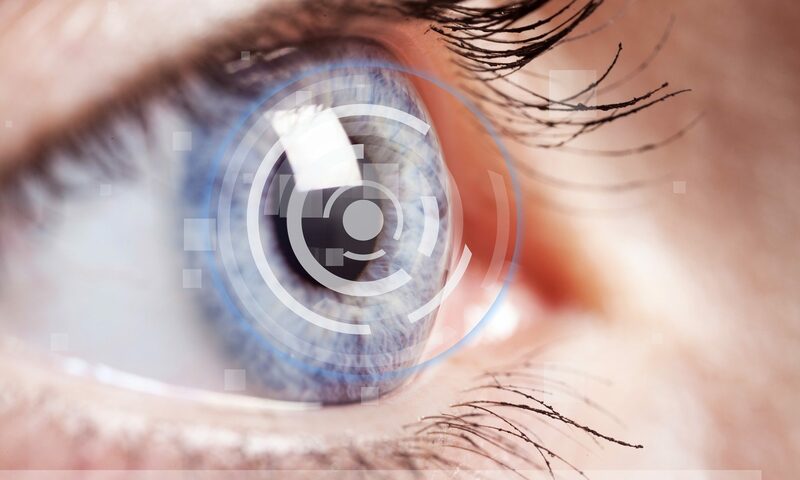 Mrs Uma Thakur is a renowned and experienced Ophthalmic surgeon. She is a fellow from Moorfields Eye Hospital, London where she specialised in Medical Retina and Cataract Surgery. Her clinical interests are Small Incision Cataract Surgery (Phako-emulsification) and Medical Retina.